There's no place like home — even for a pair of shoes. 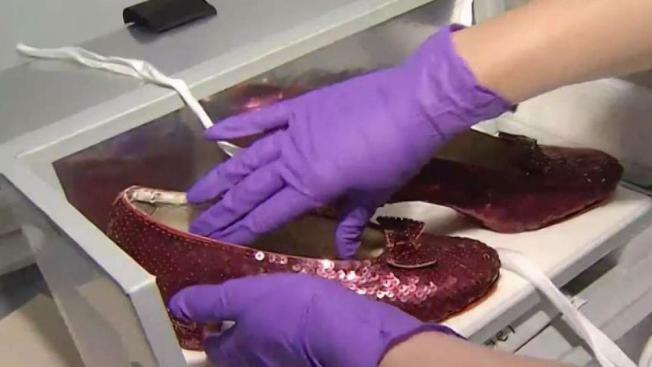 A pair of the iconic ruby slippers from the 1939 "Wizard of Oz" film were recovered in a sting operation after a man approached the shoes' insurer and said he could help get them back, the FBI said Tuesday. The shoes are one of several pairs worn by Judy Garland, who played Dorothy Gale in the classic film. This pair was on loan to the Judy Garland Museum in the late actress' hometown of Grand Rapids, Minnesota when they were taken in 2005 by someone who climbed through a window and broke into a small display case. The shoes were insured for $1 million. 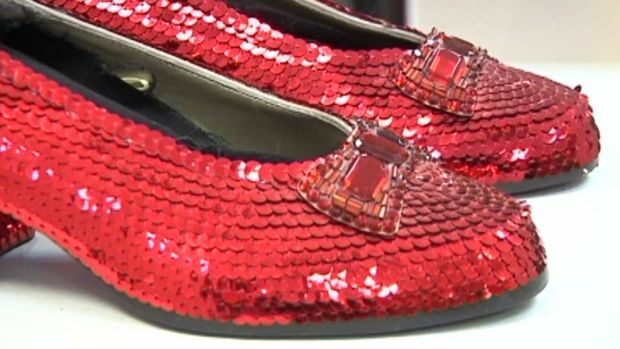 After these famous ruby slippers were stolen from the Judy Garland Museum in Grand Rapids, Minnesota, an anonymous donor is hoping that a $1 million reward will help the shoes find their way home. The search is a month away from hitting the ten year mark. "They're the symbol of the longing for home — a symbol of a sense of place," John Kelsch, the Grand Rapids museum's executive director, told the Star Tribune in 2016. "Of any artifact from the movie, they touch that emotion in people." In 2015, an anonymous donor in Arizona even offered a $1,000,000 reward for the return of the slippers. But they remained missing for nearly three more years. The magical shoes were both a source of conflict and comfort in the famous film, as they led to a battle between Dorothy and the Wicked Witch of the West before helping Dorothy find her way back home to Kansas. The National Museum of American History is home to one of the other pairs of slippers. They were taken off display last April for conservation work after a Kickstarter campaign helped the museum raise more than $300,000 for their restoration. They are expected to go back on display in October. According to the Smithsonian, up to 10 pairs of the slippers are thought to have been made for the movie. Five of them, including the National Museum of American History's pair and the stolen pair, are still known to be in existence.